Hungarian archaeologists have found what they believe may be an intact medieval shipwreck in the Danube river. Partially buried in mud and gravel near the riverbank at Tahitótfalu, some 18 miles north of Budapest, the flat bottom river wreck has yet to be excavated. A preliminary survey from the Argonauts Research Group in cooperation with the county museum of Szentendre, revealed that the ship is about 40 feet long and 10 feet wide. The archaeologists could distinguish oak floor-planks, floor-timbers, and L-shaped ribs. 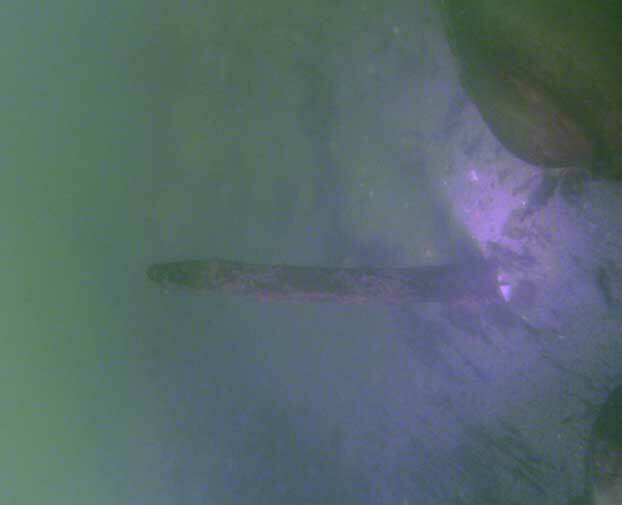 They also noticed that the junction piece of the bottom and the side wall of the wreck is carved from a single log. "Only a few river ships of this kind have been found in Europe," Attila J. Tóth, associate of the National Office of Cultural Heritage, told Discovery News. The ship most likely sank because of an accident. "River navigation was dangerous. Downstream cargo ships floated using large rudder-oars, which made maneuvering very hard. Accidents happened very often," Tóth said. The largest river of Central Europe, the Danube connected in the Middle Ages Hungary with the German Empire to the west and the Byzantine Empire to the south, serving as a waterway for intense commerce as well as a route for military campaigns. The archaeologists hope to begin the first phase of the underwater ship excavation next year. "The current and the low visibility makes research in the Danube extremely difficult. But the find looks promising: we suspect this is an intact wreck," he added. 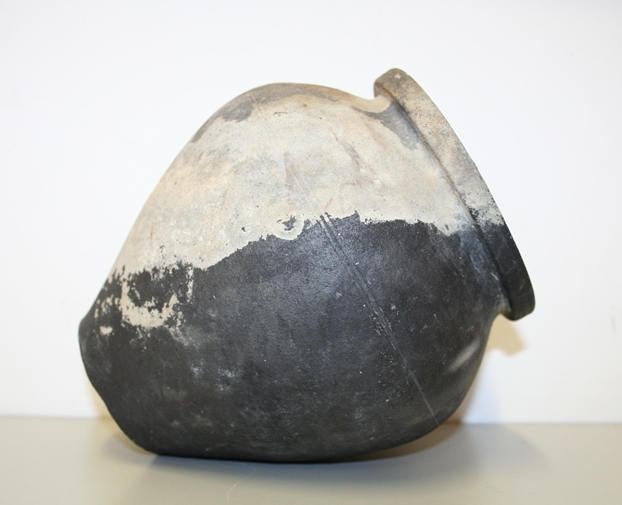 Indeed, a medieval pot was found next to a floor timber, inside the wreck. "We believe that the entire cargo could be preserved under the pebble-shoal," Tóth said. Although many ships have sunk in the river, only a few wrecks have been retrieved from its waters so far. Last year, the extreme dry winter exposed a 14th-century wooden wreck of a probable ship-mill at Dunaföldvár, about 58 miles south of Budapest. "Watermills planted on ships were widely diffused on the rivers of Middle Danube Basin," Tóth said. Most likely, the ship sank during a feudal conflict, as reported in a contemporary document. In December 2011, another wreck was discovered near Ráckeve, about 30 miles south of Budapest. Possibly dating to the Middle Ages, the ship was pretty similar to the Dunaföldvár wreck. "Unfortunately the finder destroyed the ship by cutting it into 5-foot-long pieces. He had planned to use the oak wood for heating his house. It was a heap of firewood, but we could detect the original construction from the shapes and other caracteristics of the plank," Tóth said.